GRAND PRAIRIE, TEXAS (March 19, 2015) Silicondust USA, a San Francisco Bay Area-based technology company and innovator of the HDHomeRun® network, working together with FYI Television (FYI), a Grand Prairie, TX enhanced television data and entertainment content supplier, has released a HDHomeRun Kodi add-on complete with an impeccable guide interface, dramatically changing the user experience for the better. The new add-on interface allows users to now see the channel logo, a complete description of the show currently airing, an image/showcard of the program and even a summary of what’s coming up next. In addition, the add-on will allow the HDHomeRun to remember the last channel it was on, where previously, this function was not available. "The beauty of the HDHomeRun add-on is its elegance ... There's really no set up. Just install the add-on and you're good to go," says Edwin Kim, Vice President of Products for Silicondust USA. Overall, the guide interface add-on provides users with more of a set-top box type of guide interface, but is an open source (GPL) piece of software that runs on low-end hardware including Mac OS X, Raspberry Pi, Android, Windows and virtually any device that is Kodi-supported. "We are very excited to see an HDHomeRun add-on for Kodi. It will be one of the very few add-ons that will support legit guide data and provide an enriched TV viewing experience for Kodi users," said Keith Herrington of Business Development for Kodi. The HDHomeRun add-on is now available in the USA, Canada, with additional anticipated availability in the United Kingdom, Australia and other countries as soon as June 1st, 2015. “We are thrilled at the excitement the HDHomeRun guide add-on is stirring up, and are positive Kodi users will enjoy not only the elegance of the guide interface, but the integration of FYI’s accurate and in-depth program information and image content. Accuracy and completeness truly does make the user experience that much better,” says Christopher S. Stark, President and CEO of FYI. For more information and instructions about downloading and installing this add-on, a brief instructional video on YouTube has also been provided here: http://youtu.be/-MY-Kk76x9w. FYI Television, Inc. (FYI), the TV metadata and entertainment image content expert, accumulates and distributes TV entertainment content and linear scheduling data from more than 12,000 TV networks daily, aggregating the information into customized formats for various television, mobile, Internet and print clients. Through the vast array of applications our data is filtered into, hundreds of millions of consumers engage with FYI’s content. Clients in both domestic and international markets including Silicondust, AT&T, Microsoft, Ericsson, NBC Universal, Disney, SONY, Discovery, Gannett Newspapers, McClatchy, Triveni Digital, Star Media, Ygnition, BIM, Frontier Communications, Boxfish, GMR, Syncbak, Cannella, comScore, Rentrak, Digital First, Ole, National Geographic and ARRIS turn to FYI for its top-notch tailored TV metadata, data management, image content, media measurement and analytics. Learn more about our products and services at www.fyitelevision.com and follow our blog at blog.fyitelevision.com. Commercial use. HDHomeRun devices include Certified OCUR and DLNA Certified DMS products supporting DTCP-IP protected content streaming within your home network. 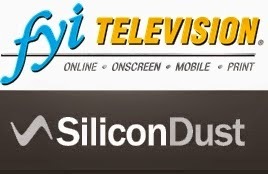 For more information about Silicondust visit http://www.hdhomerun.com. Kodi™ (formerly known as XBMC™) is an award-winning free and open source (GPL) software media player and entertainment hub that can be installed on Linux, OSX, Windows, iOS, and Android, featuring a 10-foot user interface for use with televisions and remote controls. It allows users to play and view most videos, music, podcasts, and other digital media files from local and network storage media and the internet. Our forums and Wiki are bursting with knowledge and help for the new user right up to the application developer. We also have helpful Facebook, Google+, Twitter and YouTube pages. To find out more, visit http://kodi.tv.